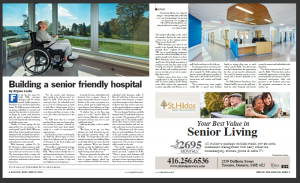 Providence Care Hospital (PCH) was published in Hospital News, February 2018 Edition. Dr. Lindy Kilik, neuropsychologist with the seniors’ mental health program at PCH provides some insight about the design. For further information click on the following link and navigate to page 8.